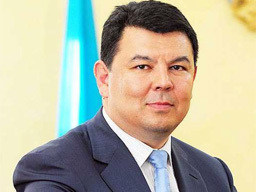 VIENNA (Interfax) – Kazakhstan agrees to proportional reduction of oil output in the framework of a new OPEC+ deal, Kazakh Energy Minister Kanat Bozumbayev said after his talks with Saudi Arabia’s Minister of Energy Khalid Al-Falih. “We will support the common decision, as always”, Bozumbayev told reporters. “We are ready”, he said, when asked if Kazakhstan was ready to cut its oil output levels under the deal. He did not specify to what extent the country was ready to reduce its oil output. “I can’t say that this is a result of negotiations”, Bozumbayev added. He went on to say that the level of oil output in Kazakhstan would soon amount to 370,000 barrels per day.